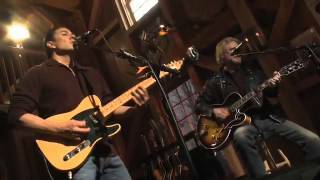 This and all other great performances may be seen from Daryl Hall's widely acclaimed (e.g., Rolling Stone, SPIN, Daily Variety, et al) free-to-view website, and Palladia TV show, called "Live from Daryl's House". Simple, yet satisfying concept: He and his band fellowship and jam with established colleagues and stars, as well as extremely talented and noteworthy newcomers, at his country home/studio in Amenia, NY. Booker T. Jones, the legendary, multi-Grammy award-winning songwriter, record producer, arranger and frontman of "Booker T. & The MG's". ... NY. Booker T. Jones, the legendary, ... Never Found a Girl [Live from Daryl's House #44-06] ... Never tire of Green onions. Episode 55 Jason Mraz "I Wont Give Up"